The Social Skills Groups Teasing hurts and it is not OK.
What can we do about TEASING? Almost everybody gets teased at some point in time. Although, it often seems like we're the only one being teased! Teasing can be about anything. Kids who feel good about themselves and who work on having a good sense of humor and, not taking everything to heart, have an easier time than kids who let the teasing get to them. Joking may make the teaser disappear. How we react to a tease makes all the difference in the world. Remind the person doing the teasing that teasing hurts, and that it is not OK! It's important to remember that teasing says much more about the person who's doing it, than it does about the person who's putting up with it. Bill Cosby recommends repeating the word, "so", in response to teasing. If a child is being teased, and begins to get mad or upset, they should just stop, take a three calming breaths, and just walk away. They should find a friend, a classmate, or an adult and tell them how they feel. One can get all mad and bothered although that often makes things worse. One can get sad and cry, but that just gives the power away to the teaser. Power- This is important. In what ways do we feel we have power? Answer: We have the power to feel, to talk, to accomplish, and to be useful in some way. We have the power to be in control of our own feelings, responses and behaviors. What can parents do for their children who are being teased? Do not call the parent of the teaser and tell them about their child’s "unkind" behavior, (I am worried they may be upset with you.) focus more on having the teaser over to play. Perhaps make family plans for dinner on a Saturday or Sunday with the child’s family. This will help to create a stronger bond with the children. Build relationship. 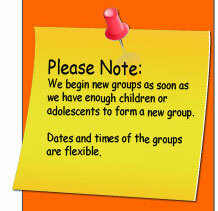 One developmental task children are working on is socialization and friendship. They are just learning the way. We need to help them by setting good examples for them. Do not be intimidated by the children. Help show them the right way. Help your children focus on how you want it to be for them, and how they want it to be for themselves, and not on how it is when friendships are not going so well. Remember to help your children to treat everyone as they would like to be treated, with kindness and respect. Teach them that in order to have friends, we need to be a friend. It's important to be a friend to yourself, too. Help your children to like themselves, (Show them your love and that you like them, and they will “mirror” your feelings toward themselves,) and they will just naturally like everybody else. And remember when they see kids acting like bullies, to tell them to stop! Help them to be a tease buster. They must tell the person doing the teasing that teasing hurts, and that it is not OK! The secret is to focus on what you want for yourself and your children, and not give energy to what you do not want. What we think about… we tend to bring about.